A Florence vacation is amazing! 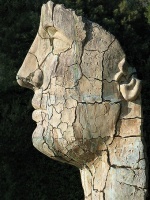 There are an overwhelming number of art galleries, fabulous buildings, churches and treasures to explore. Firenze, the "soul of Italy", is set on the River Arno surrounded by beautiful Tuscany. It is the birthplace of the Renaissance. It was originally established by Julius Caesar in 59BC and is steeped in history. The centre of Florence is closed to traffic and still has a medieval feel. 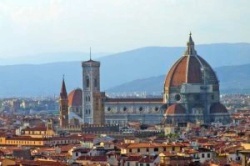 The Gothic Duomo, dedicated to the Santa Maria del Fiore, dominates the skyline of Florence. Combining a Florence vacation and a visit to the charming villages of the Tuscan countryside make for favorite European vacations. The warmest months are July and August with an average high of 88 degrees F. They are also the most crowded so avoid this time and holidays if possible. The coolest months are December and January with an average high of 50 degrees F. The best time for a Florence vacation is spring and fall. There are so many wonderful things to do and see on a Florence vacation getaway. Here are some of the "must see" top Florence attractions. Bargello - Great works of art representing numerous artists including Donatello's "San Giorgio" and Michelangelo's "Bacco"
If you are looking for B B Florence, check out the search engine below and choose "guesthouse" for property type. Looking for cheap hotels in Florence? 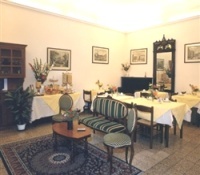 Here are a couple with good ratings: Hotel Accademia and Hotel Monica. The winner of the "2008 Best Hostel" is the Academy Hostel. Below is a great search engine for checking cheap hotels, B&Bs, guesthouses, rooms and hostels for your Florence vacation. Please note that the prices are "per person". 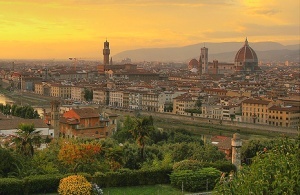 A Florence Italy Rental is the perfect way to immerse yourself in the wonderful culture of this amazing city. These Florence holiday accommodations are great for families, couples traveling together, family reunions and destination weddings. 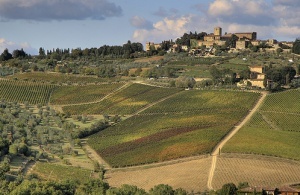 There are villa, apartment, condo, cottage and farmhouse holiday Florence options. Wi- Fi free in apartment! Torri villa holiday rentals apartments is a medieval house of 13th century, located in the beautiful Chianti area on the top the hills with a best view. The gorgeous medieval accommodation is administrated by the owner- family, entirely made of stone, subdivided in apartments a few minutes from the artistic Tuscan city centres. 14TH C.Villa in the Tuscany Countryside, between grapes and olive trees. Close to Florence, approx 16 km, easy to reach, also by train from Pontassieve rail station...in 16 minutes guests will be in the centre of Florence. a charming and well- appointed apartment of 80 sqm located in the center of Florence, a few steps from the Duomo and Palazzo Vecchio. It is completely renovated and very quiet. It presents a mix between the modern and the past. The oldest part, with beautiful tiled floors in cotto and ceiling with beams, is composed of a large well- furnished living room with sofa bed and a wide cooking angle. From the windows you can admire the Duomo, the Campanile di Giotto and the Torre del Bargello. From the stairs you can reach a relaxing garret- area with chair and window where we can admire Palazzo Vecchio. A splendid terrace completes the apartment on the roofs of Florence. Some great options for restaurants in Florence that have gotten good reviews are: Bardini Garden's Cafe, Cafe Daria, Il Pirata, La Buca di Enea and don't forget to try the famous getlato! If you prefer not to stay in busy, often crowded Florence, consider a Tuscan villa or holiday rental in a charming village near Florence or the beautiful Siena area. I hope this Florence Italy tourist information helps you plan a wonderful Florence vacation!